The Seattle Seahawks linebacking corps has been a group in flux throughout the start of the season. Starter K.J Wright has yet to play in a game this year since undergoing knee surgery this summer. Mychal Kendricks has now been suspended indefinitely by the league for his involvement in inside trading and is no longer available to the squad. 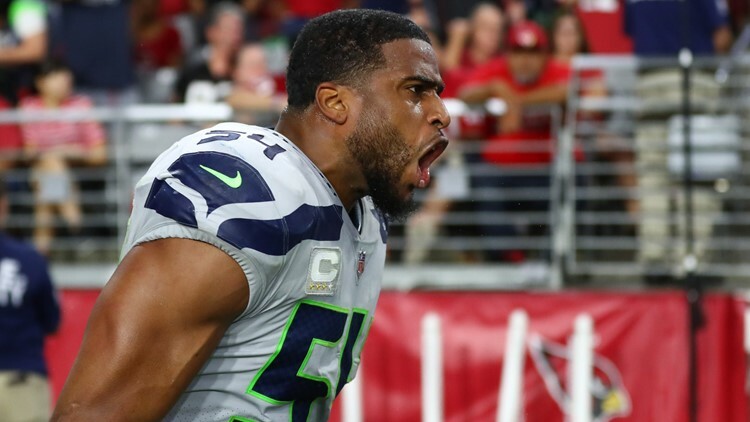 Middleman Bobby Wagner, who suffered his own injury early in the season, senses an impact from the absences. “I think it definitely impacts the communication because me and K.J. have been playing together for quite some time so it’s a lot of checks and adjustments and things that we’ve kind of got our routine down,” Wright told reporters in London Friday morning. Wright explained that while the replacements – including Barkevious Mingo and Austin Calitro – have stepped up, the substitutions often “mess” with the communications. Wright is not expected to return until after the Seahawks Week 7 bye. He has already been ruled out for Sunday against the Raiders. Wagner will have to make his adjustments without Wright on Sunday when the Seahawks square off against Oakland in London.